NSW government’s new Strata regulations, to commence 30 November 2016, will create new development and ‘gentrification’ opportunities, particularly in Sydney’s ‘older’ inner west, north shore and eastern suburbs. A key aspect is the 75% rule, whereby owners in apartment blocks can sell their combined property to developers (or develop themselves) if they obtain 75% agreement of all the owners (previously 100%). However, the new Strata rules have checks and balances designed to achieve a fair outcome for the 25% who may not wish to sell but could be compelled to do so under the new Laws. So ‘fairness will make fortunes’ in older apartment complexes that have the potential to be ‘gentrified’ with higher density developments. But how will fairness be determined? How will the laws be interpreted? What is the potential ‘value capture’ when owners agree to sell as one? What factors need to be in place for this value capture? Where are the locations in Sydney that will likely benefit the most? What are the layers of government authorities that will influence outcomes? What will be the impact on communities & housing affordability? The seminar speakers are four industry leaders of the new laws who will address these questions. Wal Dobrow, a member of the NSW Strata Industry Working Group and the architect of the new strata legislation dealing with strata termination where compensation is determined in the Land and Environment Court. Brett Daintry, whose 31 years in Local Government and the private sector includes the provision of high level strategic land use and statutory planning advice to private clients, and who sits on several NSW and local government panels and committees. 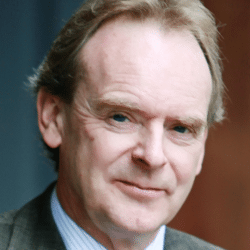 Professor Bill Randolph – What is the research behind urban renewal, exploration of the most suitable sites and an explanation of the 20% profit modelling; impact on residents. David Bannerman – Details on the new NSW Strata legislative reforms, particularly ‘Urban Renewal’, rezoning and impact on property developers and owners. Brett Daintry – The variables in determining the ‘highest and best use’ for the site, and the layers of State and Local government plans and policies to be taken into account. Wal Dobrow – The valuation and compensation principles in determining what amount apartment owners are to be paid. Rod Stowe was appointed as Commissioner for Fair Trading in July 2011. Rod has worked in the Fair Trading portfolio for 27 years, where he has had a variety of roles including Policy Advisor, Director of Customer Services, Assistant Commissioner for Policy and Strategy and Deputy Commissioner. In a public sector career spanning 39 years, Rod has gained wide experience in government following previous postings in portfolios covering environmental protection, education, local government and state superannuation. Society of Consumer Affairs Professionals (SOCAP) for his contribution to consumer affairs by receiving the 2015 Lifetime Achievement Award. 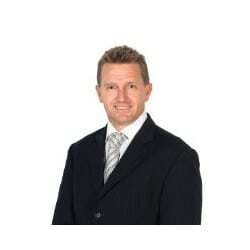 David is a qualified lawyer on the roll of the Supreme Court of New South Wales and the High Court of Australia. He is an Accredited Property Law Specialist with the Law Society of New South Wales and has over 15 years extensive experience in all aspects of property law and building litigation. 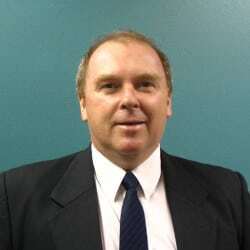 David is a Director of Strata Community Australia (NSW) and Chairman of the code of conduct committee. Bill joined the Faculty of the Built Environment at UNSW in August 2004, setting up the City Futures Research Centre in 2005. The Centre is Australia’s leading academic urban research group and was rated as “well above world standard” in the 2015 Australian Research Council’s national research excellence assessment. Bill has 35 years’ experience and an international reputation as a researcher on housing and urban policy issues in the academic, government, non-government and private sectors. His current research focuses on housing markets and policy, socio-spatial polarisation, urban renewal, high density housing and affordable housing. Brett’s career spans 26 years in Local Government and 5 years as a consultant. Brett’s 26 years in local government include senior planning, environmental health & building positions and executive positions. Brett has over 5 years as a Local Government, Planning & Building Surveying consultant. He provides high level strategic land use and statutory planning advice to private clients, sits on several NSW government panels and committees, sits on 6 local government conduct review panels and provides expert planning and building evidence in the NSW Supreme and the Land & Environment Court. Wal Dobrow has been a Registered Valuer since 1984. In addition to his own successful valuation practice, BIV Reports, he has worked in the Valuer Generals Department and was Manager of Valuation at Hiller Parker’s Head Office where he personally valued 45% of the major development projects planned for the Sydney CBD and a further $2.5 billion worth of real estate due diligence. He is a member of the Strata Industry Working Group and wrote the Common Property Memorandum that solves the majority of all problems in strata properties dealing with repairs, maintenance and responsibility. 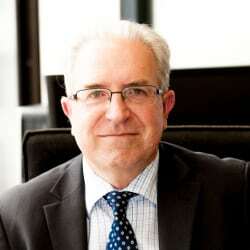 He is the architect of the new strata legislation dealing with strata termination in NSW where compensation is determined in the Land and Environment Court. Bannermans Lawyers was established in 2007 with the objective of providing high quality specialist legal services to the strata, development, construction and insurance industries. Since then, the firm has applied its expertise and industry experience to becoming Sydney’s leading strata law firm, employing a team of over 30 staff, including approximately 20 highly skilled lawyers. The firm strives to be a socially responsible business, through community involvement, promotion of legal education and reform within the strata sector, promotion of environmentally friendly practices in the construction and strata sectors and embracement of equal opportunity principles. A family owned business established in 1985. O’Connors Strata has a diverse team of 28 with expertise in strata management and consultancy in all types of strata developments. The strata portfolio includes residential, commercial, industrial, mixed use and community schemes as well as Building Management Committees. O’Connors Strata has assisted many developers from the commencement of their projects. Involvement of a strata manager at these early stages is important for the continued success of the development. Tailor made solutions create efficiency, simplicity and value for developers. Daintry Associates services government and private sector clients in the provisions of management consulting, conduct review, strategic land use planning, statutory development assessment, and building surveying. With now over 400 complete briefs and projects and 83 current projects, in 5 years, the company has delivered excellent outcome for a wide range of government and corporate clients as well as providing advice to joint ventures and incorporated associations. BIV Reports is the largest provider of WHS Reports, Asbestos Registers, Sinking Fund Plans and Building Insurance Valuations in NSW with over 66% of the strata market. The company’s director Wal Dobrow has been a Registered Valuer since 1984. 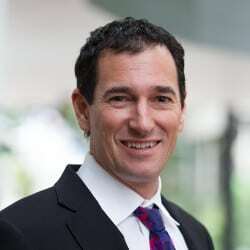 In addition to his own successful valuation practice, he has worked in the Valuer Generals Department and was Manager of Valuation at Hiller Parker’s Head Office where he personally valued 45% of the major development projects planned for the Sydney CBD and a further $2.5 billion worth of real estate due diligence. Doltone House is a family-owned and operated company dedicated to our clients. Whether you’re seeking a simple or dramatic space we have the expertise. A passion for creating unforgettable experiences lies behind everything we do. We’re proud to offer all our clients not only the technical elements you’d expect from a market leader, but also a sense of welcome and warmth that makes every interaction a pleasure, we go the extra mile – The Doltone Difference.